Cadzand is a small town south of the Schelde estuary. 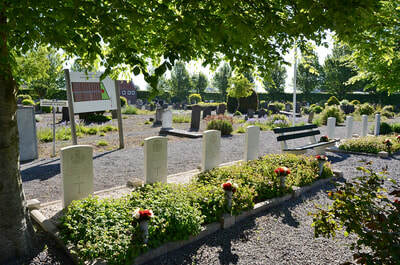 It is part of the Sluis municipality located in the province of Zeeland, in the south-western Netherlands. 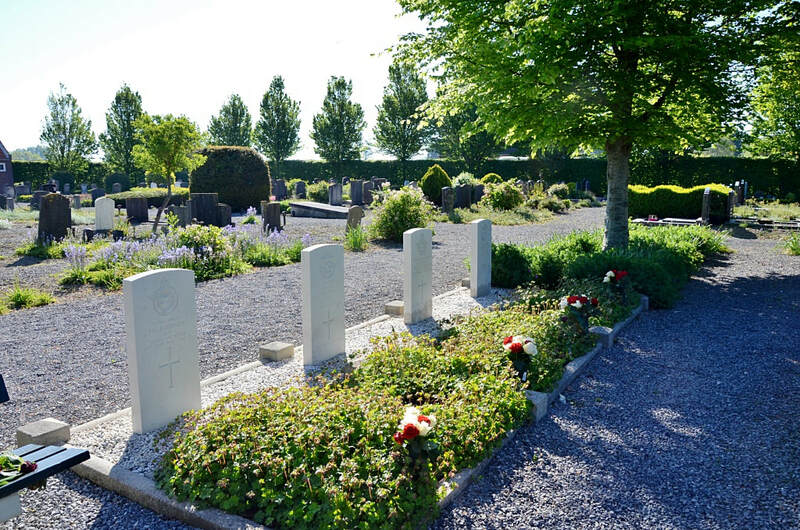 It is approx 30kms west of Terneuzen. 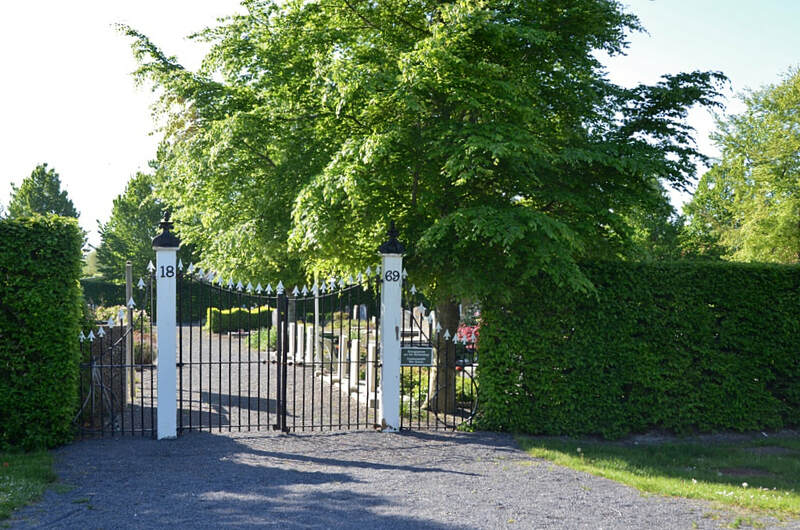 The 8 graves can be found immediately inside the entrance gate on the right. 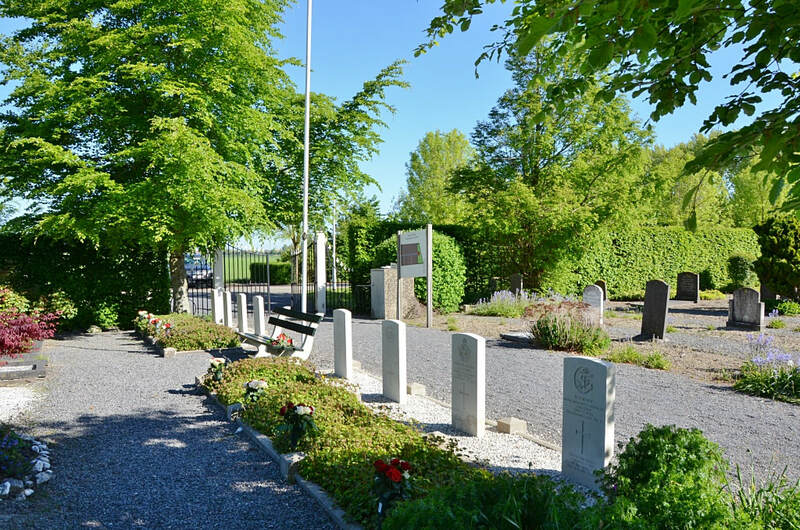 The cemetery address is:- Erasmusweg, Cadzand. 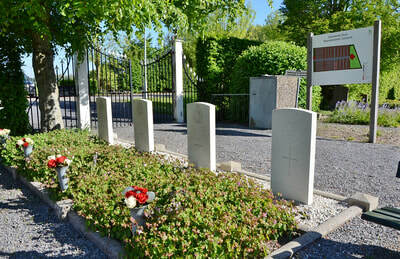 The are 8, 1939-1945 war casualties commemorated in this site including 2 unidentified casualties. 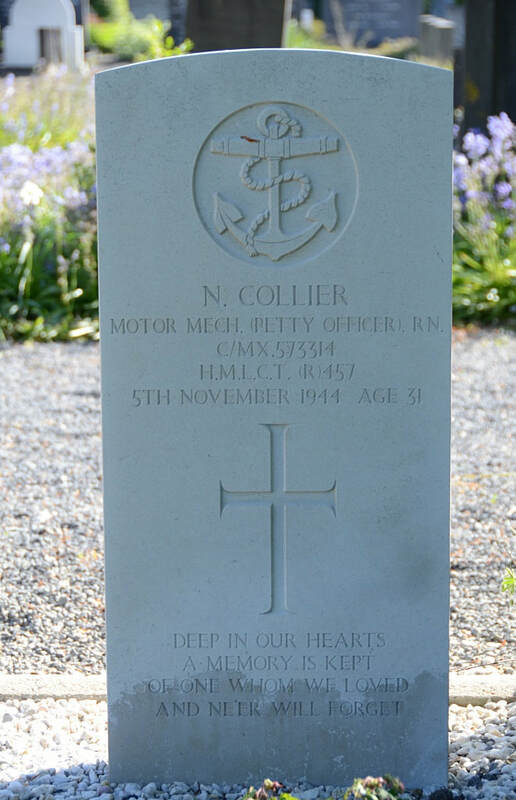 C/MX 573314 Petty Officer (Motor Mechanic) Norman Collier, H. M. L. C. T. (R.) 457 Royal Navy, died 5th November 1944, aged 31. Son of William and Kate Collier, of Ravenstone, Leicestershire; husband of B. Collier. 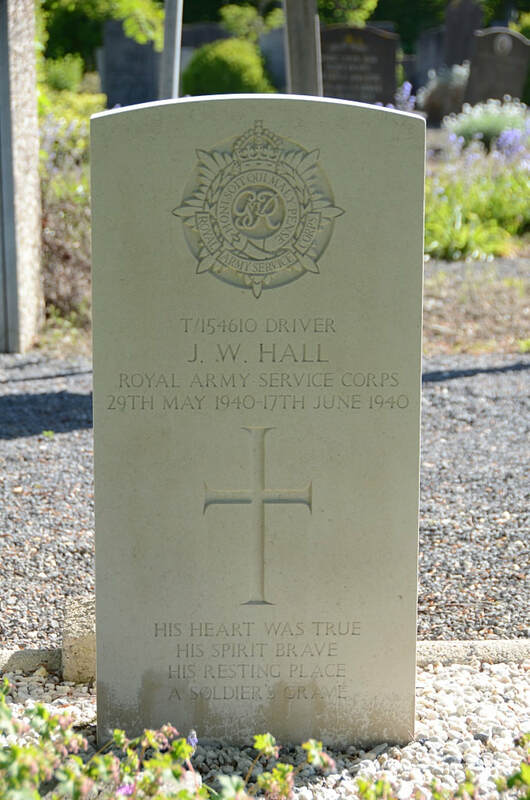 T/154610 Driver John Walter Hall, Royal Army Service Corps, died between 29th May 1940 and 17th June 1940. Son of Edward William and Amy Harriet Hall, of Abergavenny, Monmouthshire. 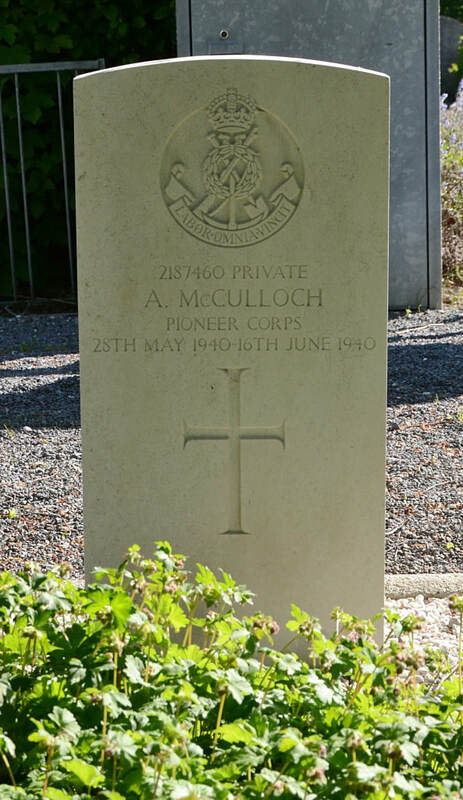 2187460 Private Albert McCulloch, 60 Company, Auxiliary Military, Pioneer Corps, died between 28th May 1940 and 16th June 1940. 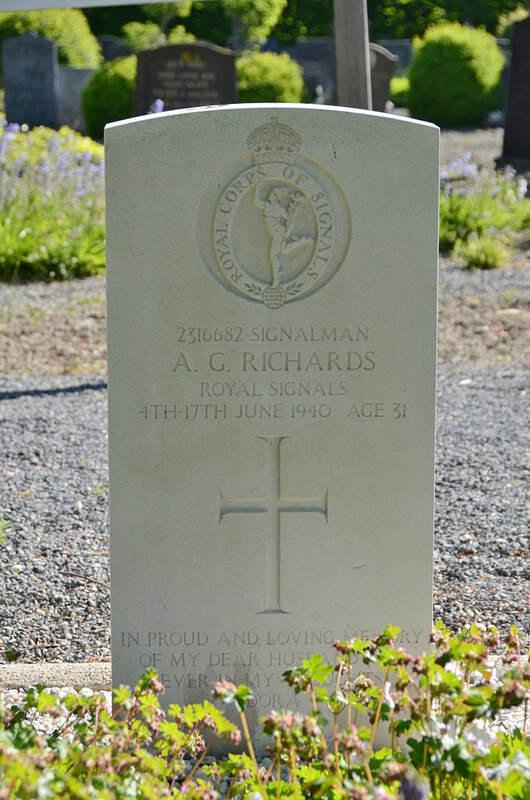 2316682 Signalman Alfred George Richards, I Corps Signals, Royal Corps of Signals, died between 4th June 1940 and 17th June 1940, aged 31. 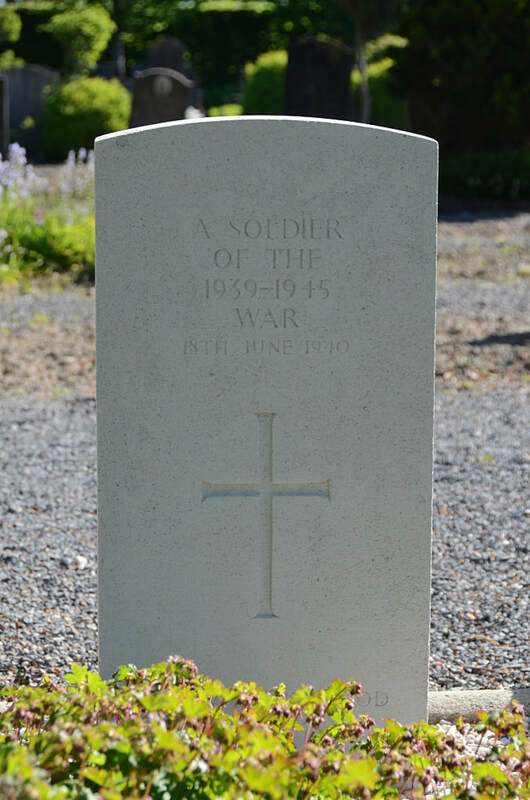 Son of George and Fanny Richards, of Portsmouth; husband of Dora Beatrice Richards, of Stamshaw, Portsmouth. 137300 Flying Officer Frank George Ruddock, Pilot in 140 Squadron, Royal Air Force Volunteer Reserve, died 6th June 1944, aged 32. 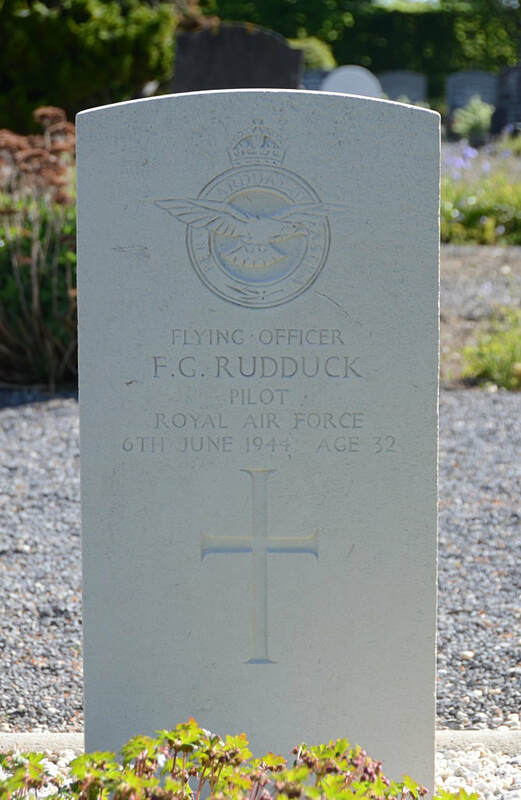 Son of Joseph George and Sarah Rudduck; husband of Dorothy Maud Rudduck, of East Dulwich, London. 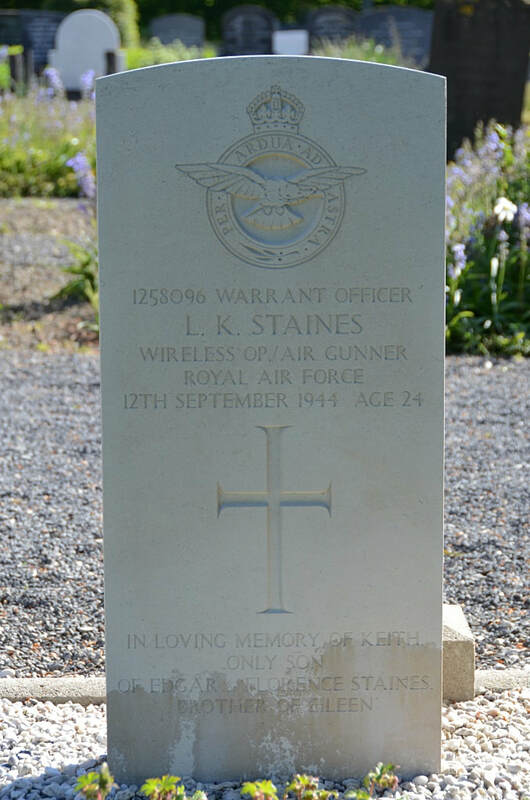 1258096 Warrant Officer Leslie Keith Staines, Radio Operator in 98 Squadron, Royal Air Force Volunteer Reserve, died 12th September 1944, aged 24. Son of Edgar Ernest Florence Kate Staines, of Bognor Regis, Sussex. 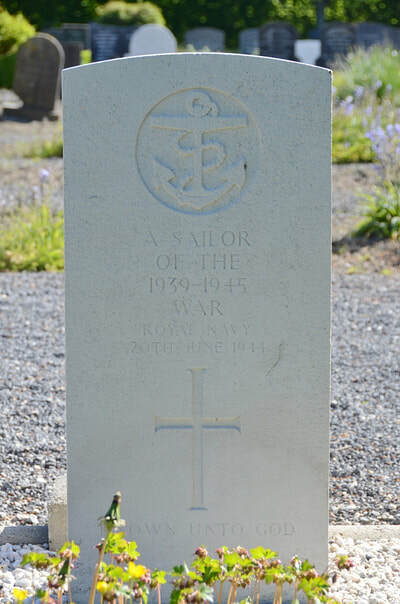 Row 27.Grave.